Building your own patio is a worthy investment, especially if you’re fond of hosting barbeques and other social gatherings at home. The trick to delighting your guests and yourself is to make it functional and aesthetic. Connect it to your interior rooms to extend your living space. Decorate it nicely so it becomes a spot where you’ll love to hang-out. Let’s begin with laying a solid patio floor. In this blog, you’ll get to know the best underfoot materials and what it takes to install them. This way, you’ll have an idea on which projects you can DIY and which are best left to the pros. 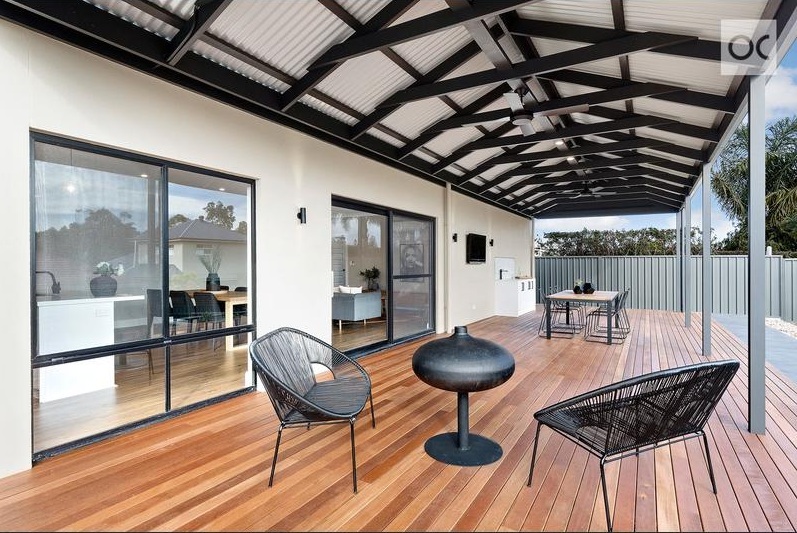 Timber decks are the go-to option for most Australian homeowners. It’s a classic — it suits almost all architectural styles. Wood is a comfortable underfoot material, but it requires regular maintenance. If you want the look of timber without the hassle, consider composite decks. See more timber decking designs from our design gallery. 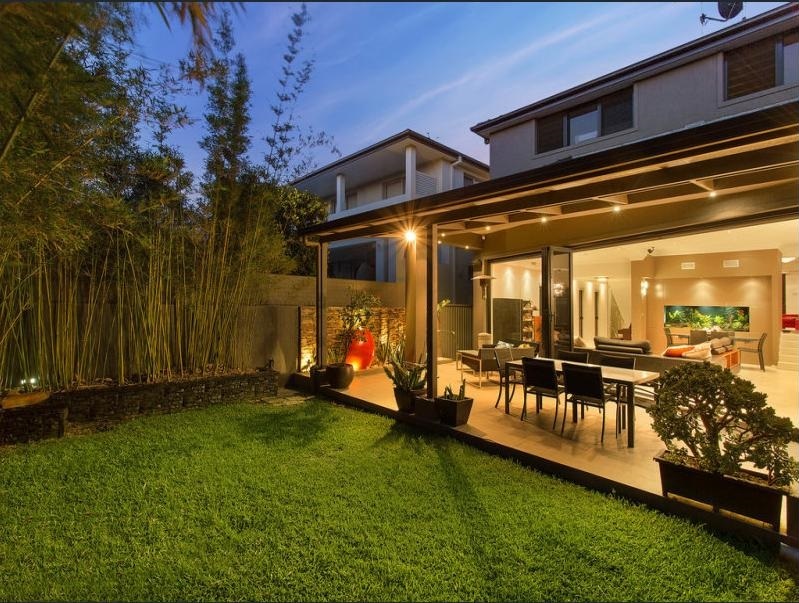 Depending on where you are in Australia and the design you want, building decks attached to the house may require council approval. You will want to work with a pro to acquire the permits you need immediately. If you’re an experienced builder, then you can DIY this simple project. The process starts with installing a ledger which connects the deck to the house. Then, you’ll set beams and joists on concrete piers before you lay the decking boards on top. Snap these timber-looking tiles together and lay them anywhere you want a deck. This modular building material enables you to build an instant patio. It also covers ugly surfaces. 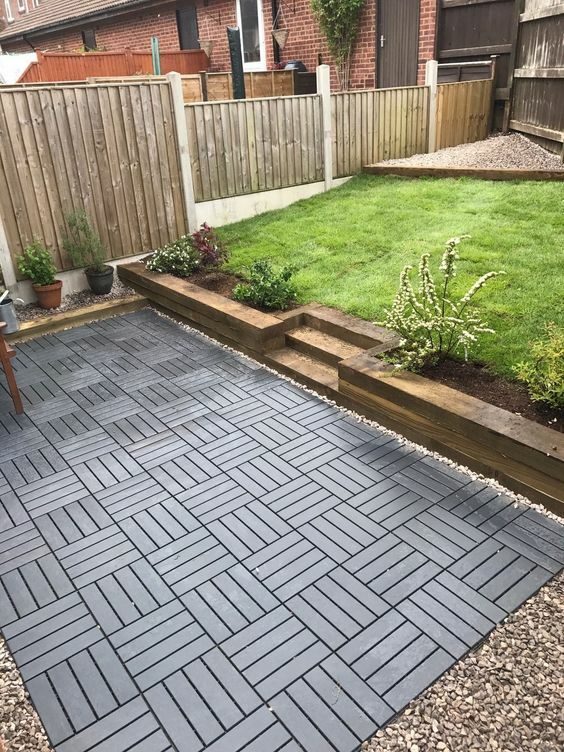 New garden underfoot featuring decking tiles from IKEA. This flooring an easy DIY project. Simply snap the tiles together in the configuration of your liking. Since it’s made of wood, you still need to stain and seal it to protect the deck and lengthen its life. There are lots of advantages for using concrete in building your patio floor. More than being affordable, hardwearing, and versatile, concrete exudes modern appeal. It’s the go-to choice for homeowners who like edgy and defined patios. It’s best to hire a pro for this job. Concrete sets quickly, so it can be unforgiving for first time builders. There’s lots of steps to do before you pour the concrete on site. First, you need to dig and level the ground. Then, you have to set the barriers that will bound and shape your outdoor space. You will need to spread gravel in there afterwards. Then it’s time to pour, level, finish, and cure the concrete. You can purchase these individual concrete pavements and lay them to create walkways. Make the area around each slab nicer with grass or small pebbles. If you want a traditional, old-world patio, consider laying bricks on the ground. It’ll take you weeks to install them on a small patio. 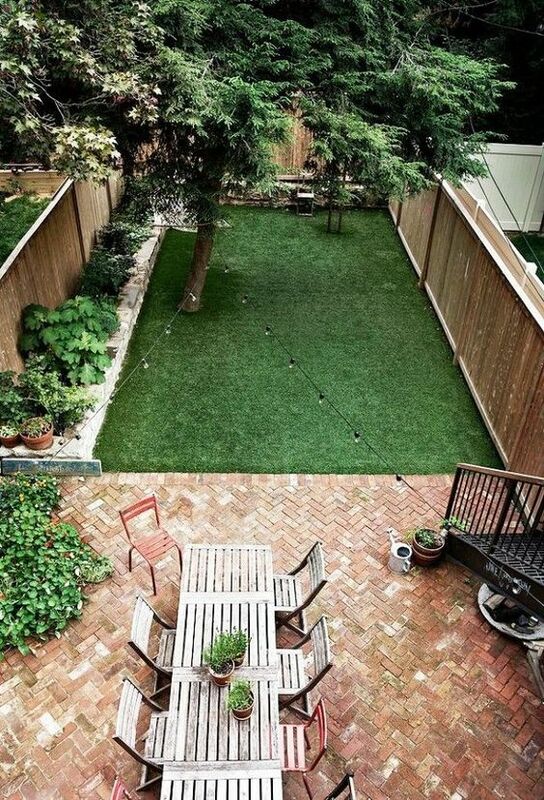 If your outdoor space is pretty huge, it’s probably best left to the pros. They have mortars that can speed up the process. Laying bricks using a mortar or the dry-laid method? When you hire a pro, a mason will dig and level the ground as preparation for building. Then, he/she will spread crushed stone and lay concrete on the ground which will become the foundation of the bricks. Then, the mason will lay the bricks using a mortar. A professionally-laid, mortared brick patio is more likely to be perfectly level, long lasting, and have less weed growth. If you choose to DIY your brick patio, you will have to do the measurements and fittings yourself. Make sure that all the bricks fit tightly together in the frame. This looks easier than using a mortar, but it’s time-consuming. You have to be dedicated to laying the bricks on the ground and replacing the broken bricks. Flagstone is a common, inexpensive, and durable stone used to build patio floors and pathways. Laying flagstone on a small patio is doable on a weekend. It’s absolutely okay to DIY this home project. If you don’t feel like it, hiring a tradie is the only way to go. To do this, you have to dig out the patio area for about 15cm deep, fill it with gravel and a thin layer of coarse sand. Arrange the pieces of flagstone into place. Leave a consistent distance in between each stone. Fill in the gaps with sand, gravel, or grass. Bluestone is a stunning and hard-wearing natural stone that comes in lovely shades of pale stone purple to deep slate blue. You can buy it in rectangular or irregularly-shaped pavers. Bluestone is heavy and difficult to arrange on the floor which is why you need the help of a stone mason. The mason will prepare the site; digging it, levelling it, and filling with a thin layer of gravel and stone dust. Finally, the mason will lay the bluestone carefully on the ground. Tell us, what patio floor would you like to have in your home? Are you going to do-it-yourself or are you going to save your energy through hiring a pro? Building your patio floor is just the beginning. There are more elements that make up the patio that you should plan too. If you’d like to know more about designing a patio that works for you, you can inquire from us today.